More and more companies are learning that hosting an app in the cloud doesn’t mean you can forget about infrastructure design. If you want that application rocket to stay in the air, you’ve got to prepare for failure and design for resiliency. Only then do you make it to orbit. Our Datanauts discussion today is with Tom Vachon, a Microsoft Cloud Solutions Architect who’s going to share design insights for hosting resilient apps on Azure. While Tom is a Microsoft employee, this isn’t a sponsored show and Tom isn’t speaking for the company. We start with a definition of application resilience and how it aligns with and differs from business continuity and disaster recovery. We also examine why you need to consider resiliency even when using the cloud. 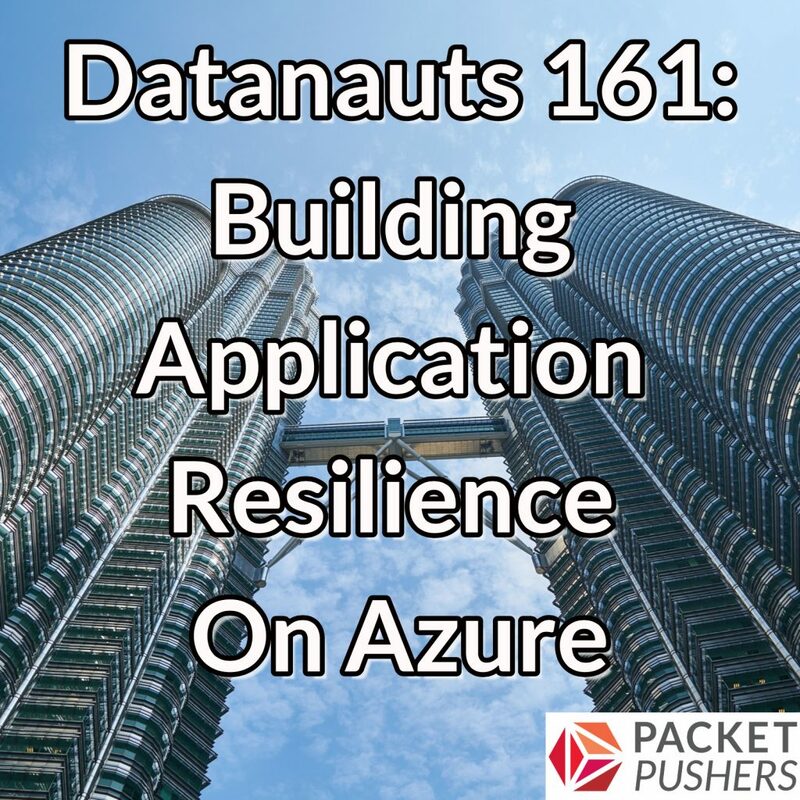 In part two, Tom and the Datanauts drill into Azure’s resilience mechanisms including availability zones, availability sets, paired regions, and more. Tom shares his recommendations for when to use these mechanisms. Part three considers the role of DNS in application resilience, addresses security issues, and examines monitoring and testing options.